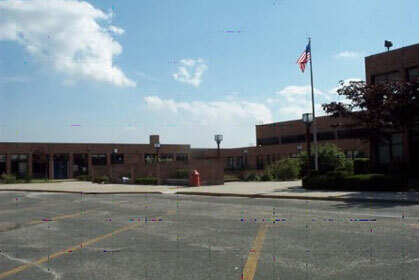 Located in Suffolk County on Long Island, NY, Miller Place Union Free School District witnessed an increase in enrollment resulting from population growth. A building plan to accommodate the growth was developed, but that plan failed to pass a referendum vote by local citizens. Overcrowding was interfering with the district's educational objectives, and a new plan was needed as quickly as possible. Thomas & Williamson was retained to develop a master plan for the district. Our team members surveyed the facilities, analyzed the program requirements and developed conceptual solutions to the district's facility problems. Working with a citizens advisory group, T&W developed eight groups of options  each with several sub-options  to give the district a wide range of possible solutions. After months of study and presentations, the district selected one of our firm's solutions. The selected plan is estimated to cost almost half as much as the plan previously turned down by the voters. The district's architect is now in the process of developing schematic designs for the plan that are scheduled to go before the voters in the fall of 2002. Our firm's extensive skills in educational master planning enabled us to quickly present solutions that met community standards.